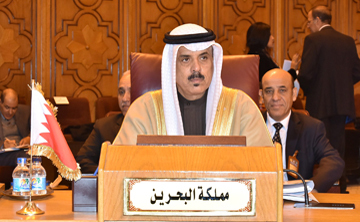 (Manama) – Education Minister and Chairman of the Higher Education Council, Dr. Majid bin Ali Al Nuaimi, has headed the Kingdom’s delegation to the 16th Arab Education Ministers Conference in the Arab League headquarters in Cairo. The ministers discussed documents prepared by Arab League’s Education, Culture and Science Organisation (ALECSO) and the Arab Labour Organisation (ALO). The Arab education ministers discussed how to develop the relationship between higher education institutions and the labour market to achieve sustainable development goals 2030.